Fatalities from dog bites are not common in Chicago and throughout Illinois, but they do occur, and when these events happen, they devastate the families and communities involved. A positive aspect to this topic is that improved state and city laws have curbed cases considerably. The unfortunate aspect here, however, is that a dog bite fatality is usually not the result of a family dog. Therefore, increased regulations often have little effect when a dog is allowed to run free and is otherwise uncared for. No able-bodied adult was present to intervene in the attack. The victim had no previous relationship with the dog. The animal was never neutered or spayed. The victim was limited based on age or physical condition. The dog was maintained as a resident rather than a family pet. The owner of the dog had a history of pet mismanagement. The owner of the dog abused it or otherwise neglected it. Note in the list above that breed is not indicated. This may seem odd at first, particularly since there is a great deal of media and social attention placed on pit bulls and other “aggressive” breeds. Statistical evidence, however, suggests that no particular breed of dog is more inherently aggressive than another, and we must be willing to reassess our preconceptions based on that knowledge. Keep in mind that in Chicago a significant portion of all lawsuits related to dogs do involve breeds like pit bulls, but that likely has more to do with public perception than anything else. Note also in the list that several of the factors are related to the animal never building trust with a human. Family dogs are rarely a problem because family dogs bond with humans, and that bond extends to other people as well. A dog that has never bonded with a human, or has had its bond broken, will tend to be mistrustful of people, and that can be a dangerous combination when a person is unsure how to approach the animal or approaches it in a way that it would a family pet. As part of our civic responsibility, we should identify resident dogs and potential dangers and, if necessary, report them to the appropriate Chicago authorities. Strays cannot be permitted, particularly in an urban environment like Chicago. Strays are rarely the problem, however. 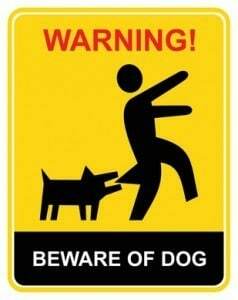 The cause of most dog bites is resident dogs, and those are examples of irresponsible pet ownership. Owning a dog comes with responsibilities, and those obligations go beyond feeding and shelter. A pet owner must also nurture the animal and build the human bond. Pet owners who abandon dogs or foster resident dogs through neglect are the real danger to the community, and they must be held accountable, preferably before but if necessary after the attack has occurred. If your family has experienced loss due to a dog bite, we extend our condolences. We also advise that you not allow a dog bite fatality to stand. Within legal guidelines, taking action is both your personal and civic responsibility. Do not, however, take action without the support of a lawyer, someone who’ll be there to ensure that your rights are protected and that proceedings occur with your best interests in mind. Rosenfeld Injury Lawyers LLC has successfully prosecuted hundreds of Chicago dog bite cases, contact us now to discuss your legal options.